Loaded with fresh broccoli, cauliflower, green onions, bacon, sunflower seeds, dried cranberries, and a lightened up honey mustard dressing. 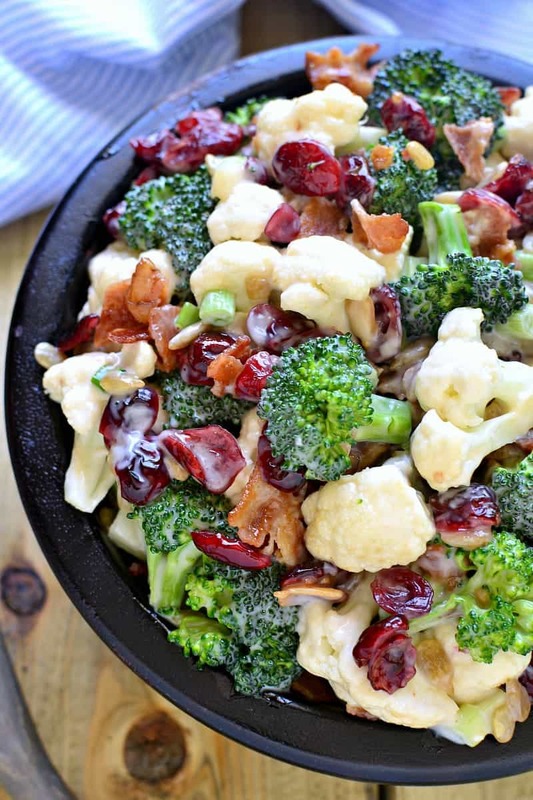 In a large bowl, combine broccoli, cauliflower, bacon, dried cranberries, green onions, and sunflower seeds. In a separate small bowl, combine yogurt, mayo, honey, and ground mustard and mix well. Pour dressing over broccoli mixture and toss to coat.